Happy chick ornaments for Easter and spring! 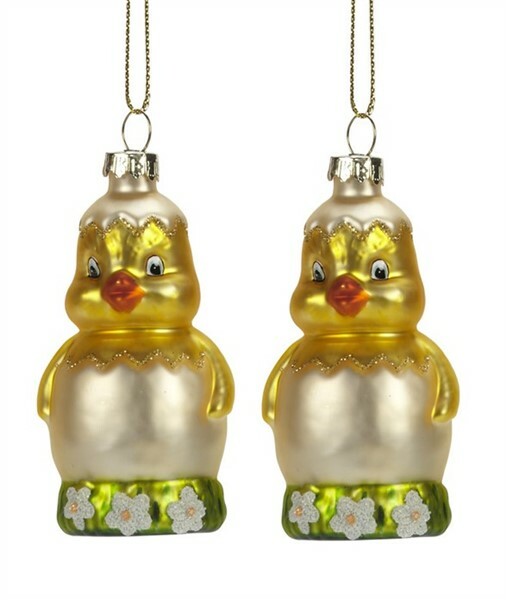 These beautiful glass ornaments are in bright spring colors, accented with glitter and are approx 3" tall. Our price is for the pair and they come in an acetate box for gift giving. Bet you'll want to split them up and keep one for yourself. Perfect in an adult Easter basket too!